Richard and his wife Lily joined Horseshoe Saskatchewan in 2000 and proudly hosted the 2000 Canadian Horseshoe Pitching Championships at Manitou Beach. Since then our lovable mascots have journeyed with competitors from Horseshoe Saskatchewan to the Canadian Championships. Richard has amazing adventures and we are never quite sure where he will pop up next. Richard and Lily boost moral and bring another level of fun to the game. They hibernate for much of the year but when the horseshoes start ringing at the Canadian Championships you can be sure they will make an appearance. Richard enjoys getting into mischief and he likes to have fun. Lily is much more meek and quiet. She prefers to sit back and watch. 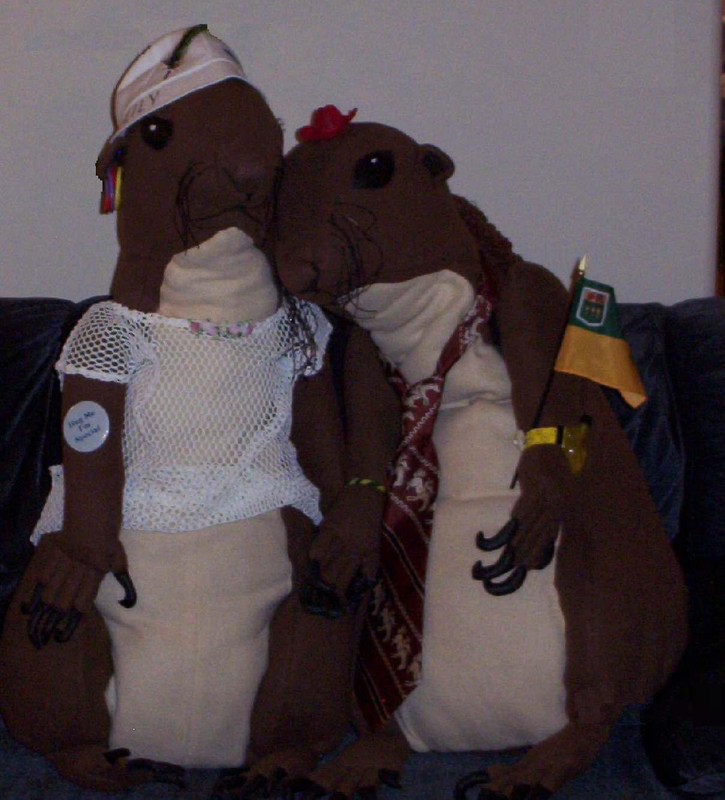 Martha McAvoy of Saskatoon handcrafted Richard and Lily for the 2000 Canadian Championships. (Martha is the wife of the late James McAvoy who was a champion horseshoe pitcher from the Saskatoon Horseshoe Pitching Club.) 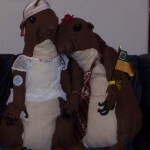 Martha spent many hours gathering gopher data and then lovingly created Richard and Lily. Richard got his name from the proper term for gopher ? 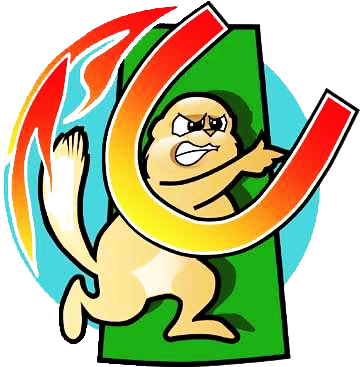 Richardson Ground Squirrel. Lily?s name derives from the Provincial flower. Horseshoe Saskatchewan is thankful to Martha for providing us with this popular and fun loving pair.